Rubinstein is an anthropologist with expertise in political and medical anthropology and in social science history and research methods. He received his Ph.D. in Anthropology from the State University of New York at Binghamton in 1977. He received a master’s degree in public health from the University of Illinois in Chicago in 1983. From 1994 to 2005 Rubinstein directed the Program on the Analysis and Resolution of Conflicts at the Maxwell School. Rubinstein has conducted overseas research in urban and rural Egypt, where he lived from 1988-1992, and in Belize and Mexico. In the United States, he has conducted research in Atlanta, Chicago, and Syracuse. In political anthropology, Rubinstein’s work focuses on cross-cultural aspects of conflict and dispute resolution, including negotiation, mediation and consensus building. He is an originator of the field of the anthropology of peacekeeping. Since 1985, he has conducted empirical research and policy studies in this field. He examines the ways that the success of peace operations depend upon cultural considerations, and how organizational and institutional cultures can facilitate or frustrate coordination in peace operations. Rubinstein has collaborated on policy applications of his work with the International Peace Academy, the United Nations Department of Peacekeeping Operations, and the United States Army Peacekeeping Institute. As a medical anthropologist, Rubinstein focuses on conflict and health, disparities in access to health care and the implications of those disparities for the health of populations, and on the integration of qualitative and quantitative research methodologies. He has developed community-based health interventions in Egypt and Atlanta. Rubinstein has collaborated on health policy issues with the American Academy of Pediatrics, the Carter Center, the Georgia Department of Physical Health, and the Onondaga County Health Department. 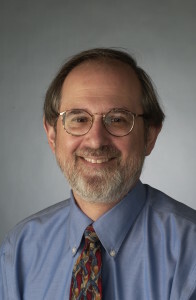 Rubinstein’s work has been supported by grants from over twenty foundations and agencies, including: The Ford Foundation, the Edna McConnell Clark Foundation, the National Institutes of Mental Health, the Ploughshares Fund, The United States Institute of Peace, the Wenner-Gren Foundation for Anthropological Research, and the William T. Grant Foundation. Rubinstein has published more than 100 articles in journals and books. He is author or editor of nine books and research monographs, including: Science as Cognitive Process: Towards an Empirical Philosophy of Science (University of Pennsylvania Press, 1984); Peace and War: Cross-Cultural Perspectives (Transaction Books, 1986), The Social Dynamics of Peace and Conflict: Culture in International Security (Kendall/Hunt, 1997), Doing Fieldwork: The Correspondence of Robert Redfield and Sol Tax (Transaction Books, 2001), Peacekeeping Under Fire: Culture and Intervention (Paradigm, 2008), and Building Peace: Practical Reflections from the Field (Kumarian 2009), Dangerous Liaisons: Anthropologists and the National Security State (SAR Press, 2011), and Practicing Military Anthropology: Beyond Traditional Boundaries and Expectations (Kumarian, 2012). 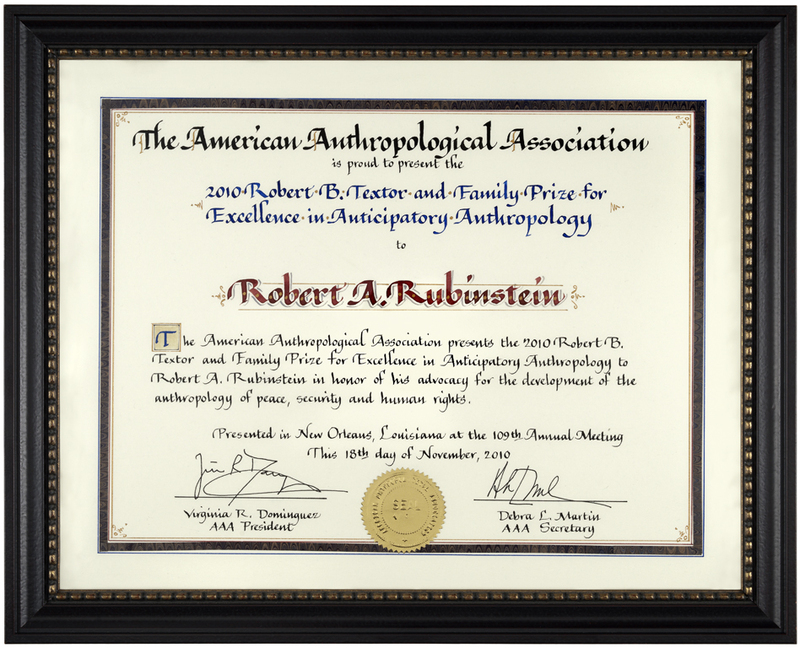 In 1983, Rubinstein was a founding member of the Commission on Peace and Human Rights of the International Union of Anthropological and Ethnological Sciences. He is co-chair of the commission, and from 2000–2004 he was editor of the commission’s official journal, Social Justice: Anthropology, Peace and Human Rights. 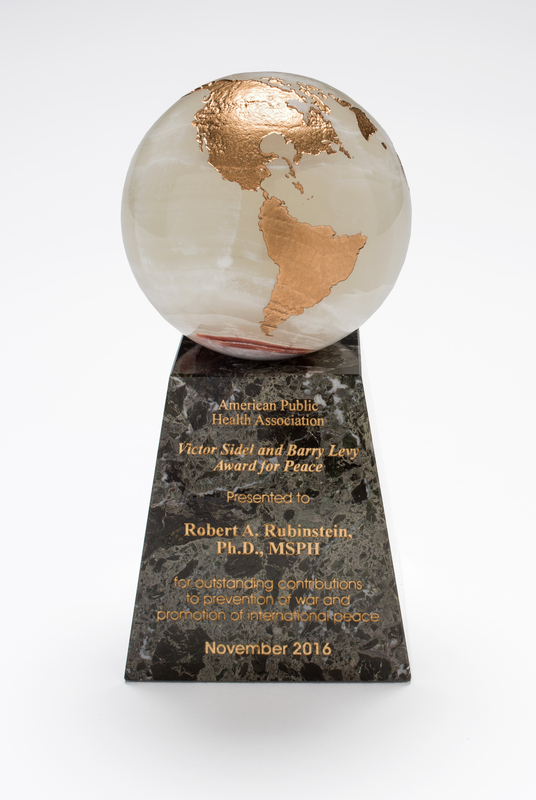 Rubinstein received the the 2016 Victor Sidel and Barry Levy Award for Peace from the American Public Health Association, the 2010 Robert B. Textor and Family Prize for Excellence in Anticipatory Anthropology from the American Anthropological Association, and the Chancellor’s Citation for Faculty Excellence and Scholarly Distinction from Syracuse University. In 2000 Edward Weisband Distinguished Alumni Award for Public Service or Contributions to Public Affairs from the State University of New York at Binghamton, in 1997 the 25th Anniversary Class Distinguished Alumni Award from the State University of New York at Oswego, and he gave the 1995 Hardy Lecture in Scholarship and Public Interest at Hartwick College. From 1999-2013 Rubinstein was a member of the board of directors of the Ploughshares Fund. He consults and lectures widely, both domestically and abroad.